I was so happy when one of my dear friends contacted me and asked if I would take pictures of her family for their Christmas card this year. 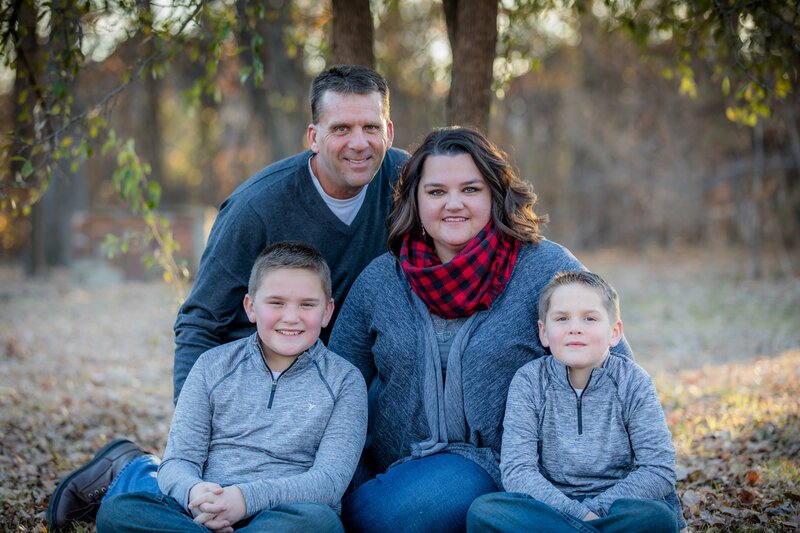 I post a lot of photos of my family and my kids at their sporting events, and based on that, I guess she figured I would be able to take a decent photo of her family. I was excited to get some practice with posing people and taking photos of someone other than my own kids and husband. We met at a park near my house and got to it. It was such a wonderful experience. Not only did I have a totally wonderful family to practice on, we had beautiful weather and beautiful light. I couldn’t have asked for a better situation. The following week, another friend who had seen a few pictures I’d posted also approached me and asked if I’d be willing to take their Christmas card photos. This photo got a lot of questions. Everyone wanted to know where all this cool graffiti was! It is one of the interesting places I discovered on one of my bike adventures. Tracy (in picture) had seen one of my bike posts and asked if this place was close. So…we packed up her family and my camera, and headed over to the deserted train tracks covered in wonderfully, colorful graffiti! This one was a learning experience for me. I was not prepared for them to bring their dog – this was a surprise! Believe it or not, the dog sat just as still as the rest of them! I was amazed. Not sure it will always be that easy when pets are involved. I had moments when I wasn’t sure I was qualified to do this, but I was certainly excited for the opportunity! 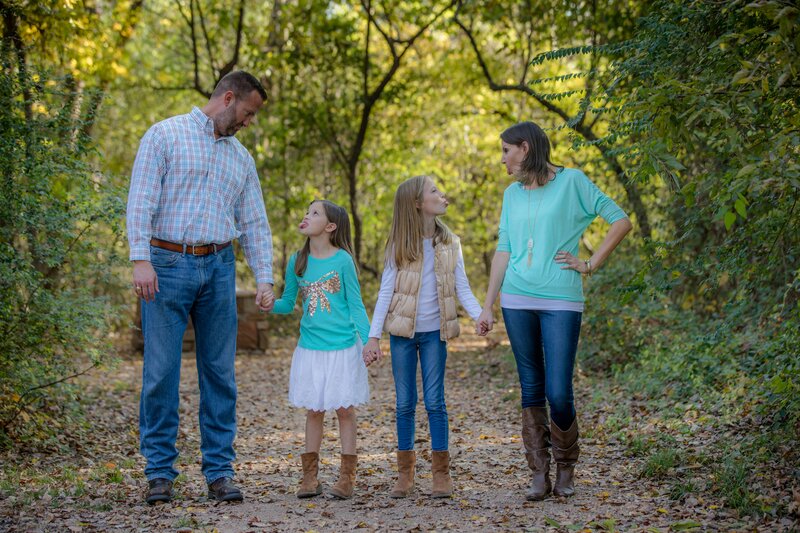 All 3 sessions were successful, and I was able to get what I considered a pretty decent photo for each of the families. I still get nervous when I’m taking photos for someone other than my own family. And I still worry that I’ll have some tragic SD card malfunction or a battery that suddenly dies, but I guess if I keep doing this, something like that might eventually happen. 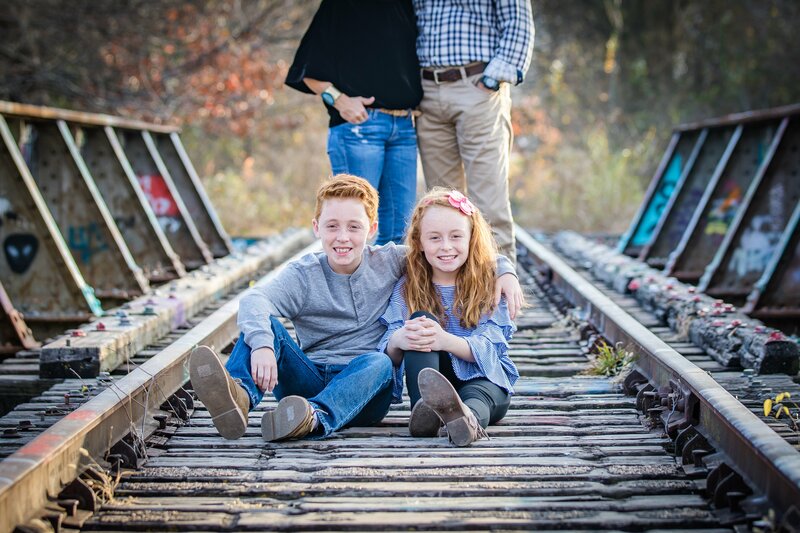 So for now, I’m just going to run with this and try to have some fun with the families I photograph, and try to learn something from each session! And I must say, receiving a few Christmas cards from friends, with photos that I took, was very exciting!